In the vibrant downtown Manhattan art world of the 1960s, where men and women collide in “lucky and unlucky convergences,” a series of love affairs has left Joanna Gold, a young photographer, feeling numbed. Then, at yet another party, a painter named Tom Murphy walks up to her. “Why do you hang back?” he asks. Rather than another brief collision, their relationship is the profound and ecstatic love each had longed to find. But it’s undermined by Tom’s harrowing past—his fatherless childhood, his wartime experiences, and most of all, the loss of the two children he left behind in Florida, along with the powerful red, white, and black paintings he will never set eyes on again. Tom, both tender and volatile, draws Joanna into the unwinnable struggle against the forces that drive him toward death. 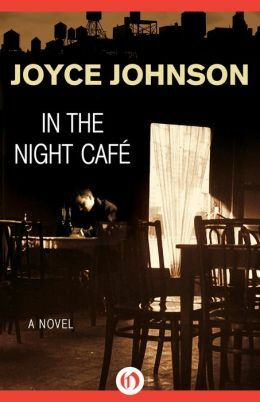 The synopsis on the inside cover of Joyce Johnson’s novel In the Night Café: A Novel describes it as a love story. This is somewhat misleading more accurately, it is a story of survival. It is a love story with holes, with little romance or tenderness. The characters make their best attempts to find and maintain a semblance of love, but they are all too damaged. The residue of their pasts is too constricting. The hope that they could write their own healthy love story seems unrealistic. The origin of the damage is set early on, in the Hell’s Kitchen neighbourhood of New York City in 1925. Tom Murphy is a boy in a poor broken home. His mother ”didn’t even like him as a baby, when he couldn’t have been doing anything wrong”. His father is gone. There is overriding sadness. The groundwork for future disappointment and disillusionment has been established. With this as background, we jump to the early 1960’s, the declining years of the Beat Generation. Tom is now a struggling artist, an absent father with a wife and two kids of his own that he never sees. At a party one night, he meets Joanna, the narrator of the novel, a listless, searching character who is desperately trying to find some happiness of her own. They establish a relationship and, over the next few years, they try their best, but even her first impression is hesitant. She was attracted, but he had “a face that had been used a lot, fierce eyes set deep in smashed bone.” Together, they try to create a life of independence and nonconformity. Joanna works temp jobs while trying half-heartedly to be an actress. Turning down full-time job offers, she states, “I was afraid, afraid offices would get me and I wouldn’t be free anymore”. Tom tries to make his living as an avant-garde artist. But financial hardships infringe and, in time, they exchange their idealism for the reality that they are hungry and the Establishment, no matter the drudgery, can pay the bills. As an intimate participant in the Beat Generation, author Johnson had the ideal perspective to write In The Night Cafe. In the late 1950’s, her companion was Jack Kerouac, iconic author of On The Road, The Dharma Bums, and other classic Beat novels, a period of her life she wrote about in her first book, Minor Characters. But the goal of ultimate freedom described by the male Beat writers seems disillusioned from Johnson’s female perspective. In The Night Cafe is sad and lonely, its characters broken and desperate. Johnson’s descriptions of them are simple, stark and perfect. A saxophone player, with whom Joanna had a brief affair, had a “warm, Russian-looking moustache over his lips, which hid, as it turned out, a small mouth of real meanness”. A child’s slowly-fading memory of his father is brilliantly compared to a “face dissolving slowly like a bar of soap dropped into water”. 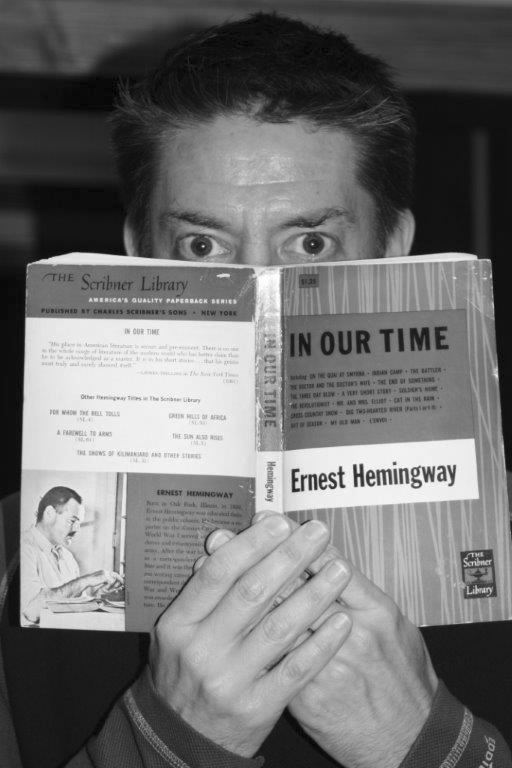 In The Night Cafe takes place during the Beat period, but there is very little talk of the era itself, making the novel both timeless and placeless. It could just as easily be set in any modern location. Its examination of the search for freedom, happiness, identity and love is universal, yet Johnson explores these themes with a very unique voice. Supremely creative and artistic, both she and her novel deserve acclaim. Born Joyce Glassman to a Jewish family in Queens, New York, Joyce was raised on the Upper West Side of Manhattan, just around the corner from the apartment of William S. Burroughs and Joan Vollmer Burroughs. Allen Ginsberg and Kerouac were frequent visitors to Burroughs’ apartment. At the age of 13, Joyce rebelled against her controlling parents and began hanging out in Washington Square. She matriculated at Barnard College at 16, failing her graduation by one class. It was at Barnard that she became friends with Elise Cowen (briefly Allen Ginsberg’s lover) who introduced her to the Beat circle. Ginsberg arranged for Glassman and Kerouac to meet on a blind date. Joyce was married briefly to abstract painter James Johnson, who was killed in a motorcycle accident. 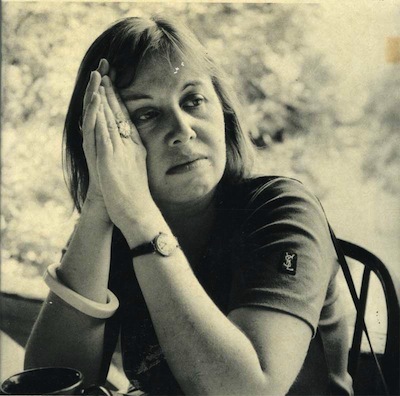 From her second marriage to painter Peter Pinchbeck, which ended in divorce, came her son, Daniel Pinchbeck, also an author and co-founder of Open City literary magazine. Since 1983 she has taught writing, primarily at Columbia University’s MFA program, but also at the Breadloaf Writers Conference, the University of Vermont and New York University. In 1992 she received an NEA grant.